Bylaws are put into place. “Inner Chamber” newsletter and annual membership directory begun. Rich Starkins as editor. New awards committee is established to put into place “Member of the Year “with committee members David Scribner, George Hope and Mick Consalvo. Newsletter (“The Inner Chamber”) is expanded and writer and editor put in place to produce quarterly editions. Writers: Rich Starkins and Judith Pennington. Membership Directory Committee is established to review and edit annual directory. Committee members: Jacqueline Salame and Linda McCaffrey. First band concert sponsorship through Parks and Recreation Dept. Originally established as the Parish of Newbury in 1754, following a petition by settlers from Danbury, New Milford and Newtown, the town of Brookfield came into being by resolution of the General Assembly in May 1788. The town was named in honor of Reverend Brooks, who was ordained and installed as permanent minister of the town in 1757, and who had guided its destiny for 30 years. The present Congregational Church, located at the intersection of Routes 25 and 133, was the site of Brookfield’s first meetinghouse. Over the past century, the first Town Hall from 1796 has also served as a center for civic affairs. The Brookfield Historical Society and Museum leased the building in 1975, after which it was refurbished and officially dedicated and opened on July 4, 1976 as a highlight of the Nation’s Bicentennial celebration. The Museum uses it as a center for the preservation of the town’s historical past. Brookfield is governed by a Board of Selectmen and conducts town meetings on a regular basis. The Board of Finance oversees the town’s fiscal affairs. The students in the community are well served with Center Elementary School (K-2), Huckleberry Hill Elementary School (3-5), Whisconier Middle School (6-8) and Brookfield High School (9-12). All are excellent public schools. The Town also offers several private/parochial schools including St. Joseph’s Parochial School (Grades K-8). Brookfield is a thriving community and is today one of Fairfield County’s fastest growing towns. Notwithstanding its progressive development in recent years, the town has remarkably managed to maintain its small town friendliness and rural character. Much of Brookfield’s quality of life is attributable to the varying styles of homes, convenience and abundance of shopping facilities, along with its wealth of natural resources, not the least of which is Candlewood Lake. 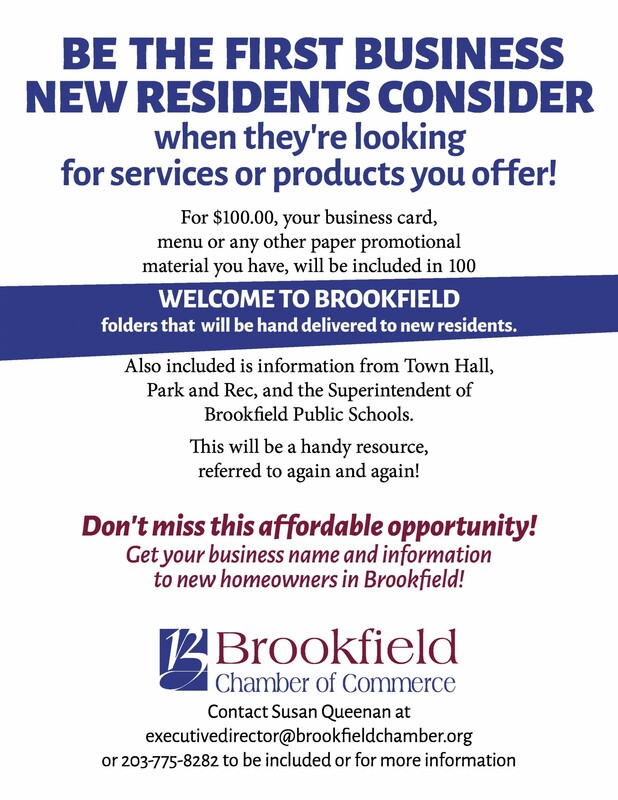 To read more history of Brookfield, visit this page.